Increased strength, decreased body fat and more muscle definition. 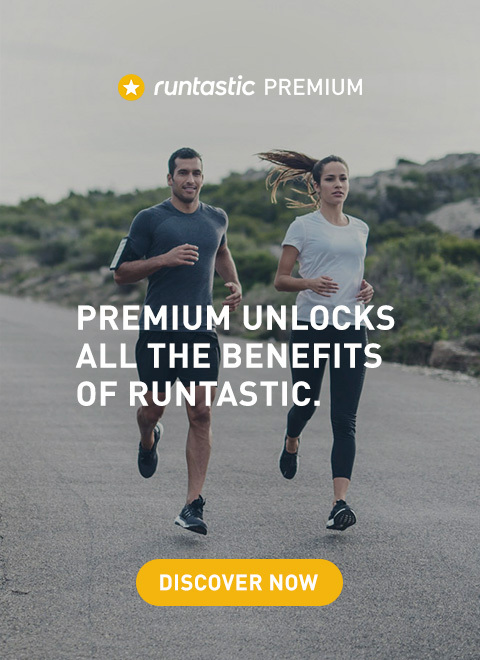 Runner, fitness fan or beginner, doesn’t matter – the latest app from Runtastic will transform you and your body. And that in just 12 weeks. How? With bodyweight exercises requiring no equipment. Wish your extra weight bon voyage, put on muscle mass, and say hello to the new you. With Runtastic Results. A 12-week personalized training plan accompanies and guides you on your path to success. The varied workouts consist of exercises requiring nothing more than your own body weight. Get reacquainted with well-known favorites like push-ups, squats and sit-ups, as well as learn numerous new bodyweight exercises. In your living room, a hotel room or in the park? The individual workouts last between 15 and 45 minutes and can be done anytime, anywhere. 180+ HD videos instruct you on the proper technique for each and every exercise. Each week you can choose if you want to do 3, 4 or 5 workouts. Plus, you receive a new training plan adjusted to your feedback from the previous week, making your training plan unique like you. The health and nutrition guide accompanies you during your training. Get great tips on eating, preventing injuries, sore muscles and anything else you may face during your 12-week plan. Also, these simple tips help you burn fat so your muscles become more visible and toned. And if you feel like throwing in an extra workout for a change, or you what to try something out before starting with your plan, you can always do a standalone workout. Simple, straightforward and you can do them anytime. They are guaranteed to help melt away those kilos. Interested in trying it? 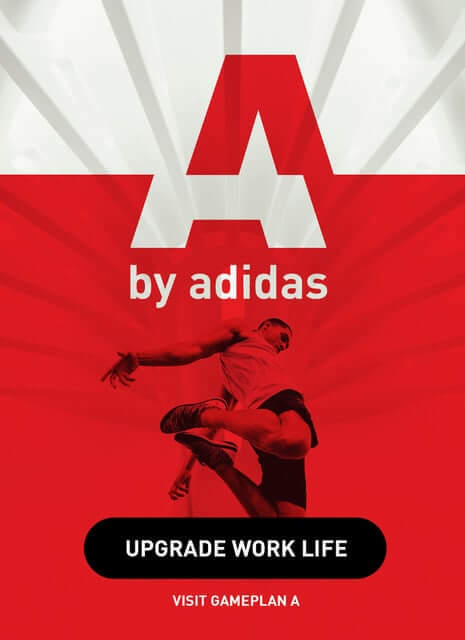 Download the free app here. Workouts you can do anytime, anywhere? The employees at Runtastic had to check this out for themselves. 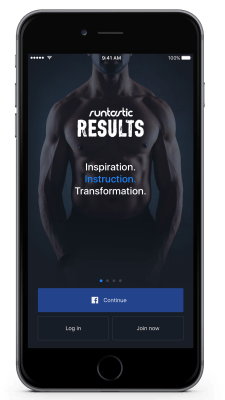 In total, 293 Runtastics opted to test the app first-hand and up close. The team put in 3,000+ hours of training and lost an average of 5.2% body fat in order to tweak and help develop the perfect bodyweight training app for users. “Working out with your coworkers is unbelievably motivating. We were all pouring sweat together and giving it everything we had. Even after the 12 weeks were over, I kept going and I’ve already set my eyes on the next goal,” said Andrzej Kozlowski, 3D artist at Runtastic. Braving the wind and the weather, the Runtastics completed at least three of the Results workouts per week, depending on their fitness level and training habits. The results of the training sessions are still visible today. Former couch potatoes are now enthusiastic fitness fans. Many team members still get together to do standalone workouts. And some are getting ready to start the training plan all over again from the beginning together with users on November 12. Here you can find the app for iOS and Android. 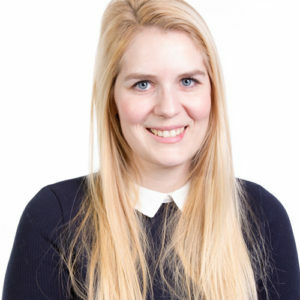 “I’ve tried lots of different programs and apps that I never finished because I felt like their training plans weren’t adapted to me and my fitness level. 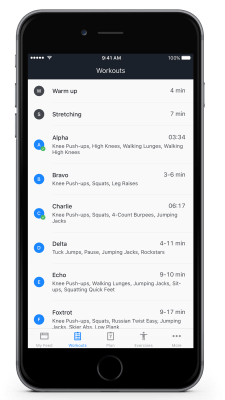 Runtastic Results, on the other hand, offers something for everyone. 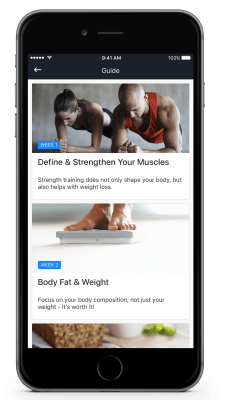 Top fit or just a beginner, after the fitness test in the app everyone receives their own personalized training plan, which is updated weekly. That was perfect for me, and I achieved great results with it. I’ve never been stronger, and this is just the beginning…,” said Runtastic CEO, Florian Gschwandtner, full of enthusiasm. And on an unforgettable, shared experience that not only bound them closer together, but made them fitter and healthier.